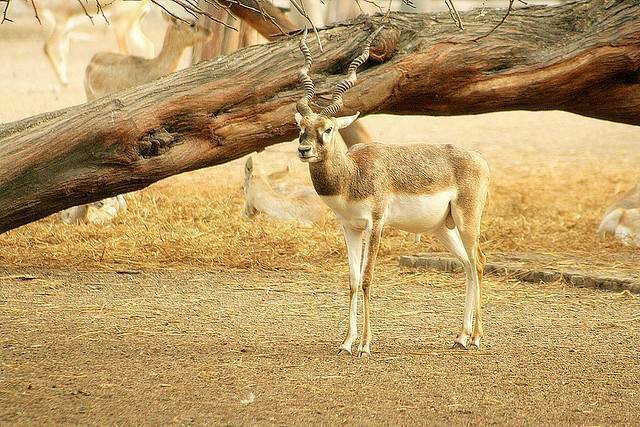 Located amidst of thriving urbane Delhi, National Zoological Park spreads over 176 acres. The plan to set up this zoo in New Delhi was formulated in 1952 and the park was launched in 1959. Spread over 180 acres it is an abode to species of 46 mammals, 34 birds and 12 reptiles along with 80 different kinds of abundant plant genus. The right section has separate segments housing Zebras, Asiatic Lions, Hippopotamus, Spider Monkey, Wild Buffalo, Giraffes, etc. whereas in left part one can come across various migratory birds like Peafowl, Jaguar, Hyenas etc. In the center part, a basement is constructed for reptiles. The park also happens to indulge in conservation initiatives belonging to the Central Zoo Authority, in collaboration with the other animal zoos of India. It’s not exactly brooding over history or adventure sports but a day spent in the Delhi Zoo can be most definitely be enjoyed with friends and family, or inquisitive minds contemplating over Charles Darwin’s theories. Sometimes as a traveler you just need the companionship of gazing, curious creatures rather than hectic, blabbering humans. If you happen to be in the bustling national capital, you ought to have rendezvous with the animals of the National Zoological Park. For Elders Battery operated Cars are available.